Mix things up during next month's celebration. No cocktail is more strongly associated with Cinco de Mayo than the margarita. This three-ingredient concoction is delicious, but it's a much bigger deal in the United States than it is in Mexico, much like Cinco de Mayo itself. While margaritas are certainly refreshing and fitting for spring, there are a number of cocktails that are way more popular in Mexico—and you should consider trying them during next month's celebration. Here are five cocktails to drink this Cinco de Mayo instead of a margarita. The paloma is quite possibly Mexico's most popular cocktail. Made with tequila, grapefruit soda (think Squirt, Fresca or Jarito's) and lime, the paloma is super-refreshing and as genuinely Mexican as it gets. 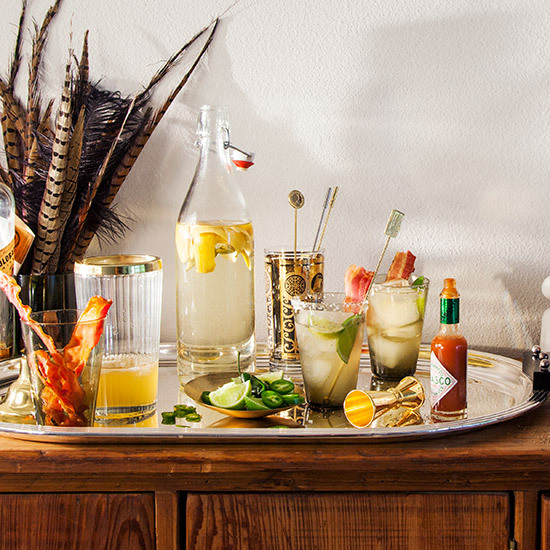 If you're feeling fancy, you can make your paloma with club soda and grapefruit juice. Technically speaking, the michelada is a cerveza preparada, or shandy, rather than a cocktail. Similar to a maragarita, micheladas are highly customizable, but the building-block ingredients include a Mexican beer of your choosing (we recommend a darker one like Negra Modelo) lime juice and a combination of seasoned salt and chiles. Other common takes involve tomato juice or clam juice, depending on where you are in Mexico. The mezcalita is essentially just a margarita made with mezcal. While this might seem like a minor tweak, mezcal's smokiness offers a different, more agressive bite. For a fruitier take on the mezcalita, try adding grilled pineapple and a bit of jalapeño to the mix. The chavela brings the flavors of a michelada and margarita together in one glass. Consisting of beer, tequila, tomato juice, hot sauce and lemon, this hearty cocktail stands as Mexico's answer to the bloody Mary and will get you ready to celebrate at the start of your day. Ponche is a warm punch served during Christmas. Ponche con piquette—punch with a sting—is its boozier cousin. While this warm, brandy-infused punch is usually saved for the winter months, icing it down for early May proves to be a delicious alternative when you just can't drink anymore tequila or mezcal, assuming that's something that happens to you.